For the first time in over 20 years, Crimea’s Tatars were forbidden from holding a memorial rally, to mark the 70th anniversary of their deportation by Stalin. The ban on any mass gatherings until 6 June, was signed by Sergei Aksyonov, Crimea’s interim head of government, who expressed concern that any potential unrest connected with the anniversary would disrupt the peninsula’s tourist season. The Crimean Tatars’ mass deportation, on Stalin’s orders, is the most tragic chapter in their history. On 18-20 May 1944, about 230,000 people were expelled from their homeland and sent to Siberia and Central Asia, thousands of miles away; more than 100,000 of them died en route and in exile. This historical wound is still festering, and the new Crimean authorities have now rubbed salt into it. Any potential unrest connected with the anniversary would disrupt the peninsula’s tourist season. The ban was reinforced by the appearance in Simferopol a few days before the anniversary, of numerous squads of riot police and prison vans, which went on to carry out ostentatious training exercises on the city’s main square. Despite this, and to no one’s surprise, the Tatars stuck to their intentions of holding mass rallies. The authorities, however, had an extra surprise for them – during the rally, helicopters flew low above the crowd, their noise drowning out the speeches and prayers of the speakers. ‘Look how Tatarstan is developing; the Crimean Tatars should follow their example’ - Vladimir Putin. Moscow cannot promise anything like this freedom, as is clear from its actions on18 May. What it is attempting to do instead is to woo the Tatars with prospects of economic benefits, using Tatarstan as an example (on orders from the Kremlin, this Russian republic even acted as intermediary in trying to entice its fellow Tatars over to Moscow’s side). What is obvious from all this manoeuvring, however, is that Mejlis representatives are far from unanimous in their political views, and that Ilyasov and Chubarov have become ideological opponents. It is significant that Ilyasov stood for election as head of Mejlis against Chubarov in October 2013, and lost to him by a mere 12 votes in a poll of 240. The Crimean authorities have been quick to exploit this rift, no doubt making the loyal Ilyasov an offer he could not refuse, and thereby creating the impression of a Mejlis presence in the Crimean government. The two representatives of the Mejlis were not the only Tatars at the meeting with Putin; there were also delegates from factions opposed to its stance of refusing to kow-tow to Russian rule. The pro-Russian Milli Firka (‘People’s Party’), headed by its Chair Vasvi Abduraimov, was also represented. Abduraimov is well known to viewers of Russian TV, from his appearances in support of the 16 May referendum on Crimean unification with Russia (which was boycotted by most Tatars). The divergences between Milli Firka and the Mejlis were clear even before Russia’s annexation of Crimea. Mejlis supporters backed the EuroMaidan, and Refat Chubarov spoke on the platform there, in favour of Ukraine joining the EU, whereas representatives of Milli Firka were on the side of Yanukovich and the Anti-Maidan. It is fair to assume that in the coming months, Moscow is going to pointedly ignore the Mejlis, and present Milli Firka as the voice of Crimean Tatardom, which will be yet another major strategic error in the Kremlin’s relations with this community. Moscow has no lack of experience in building relationships with its ethnic minorities: take the peoples of the North Caucasus, Tatarstan, Udmurtia, Buryatia – it has had a strategy for each one. But Artur Khaziyev, Editor-in-Chief of the European Tatarstan blog site, believes that this does not mean any of these models will necessarily work for the Crimean Tatars. How the Tatars are to be integrated in the coming months and years will probably depend on the results of this meeting – if it ever takes place. 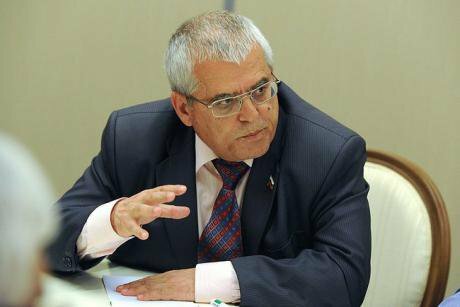 At the start of the Crimean crisis, not only the Crimean Tatars, but also outside observers, expected a resounding response from Turkey to the prospect of any infringement of Crimean Tatar rights. But intervention from Ankara boiled down to a few meetings between Jemilev and Turkish officials, and some critical comments by the country’s Foreign Ministry; and Ankara’s tepid support brought no tangible results. In any case, political life in Turkey is currently more focussed on its internal affairs than its foreign policy. The government’s central concern is its loss of popularity after last month’s mining disaster that left 301 miners dead. At the same time, however, Ankara cannot completely ignore the Crimean Tatars’ aspirations, since Crimean Tatars make up a considerable proportion of its electorate. Various sources put the size of the Crimean Tatar diaspora in Turkey at between 500,000 and a million members. Moreover, if people whose ancestors emigrated to Turkey from Crimea at different times are included, the figure is 5m-6m, although a majority of these have become assimilated and think of themselves not as Crimean Tatars, but as Turks of Crimean Tatar descent. Significantly, a large number of the conservative and (Turkic) nationalist part of the population is keen to see Ankara getting closely involved in the Crimean Tatar question, and defending the interests of their Turkic brothers and sisters. Clearly, the Crimean Tatars can expect little support from Turkey, let alone the West. 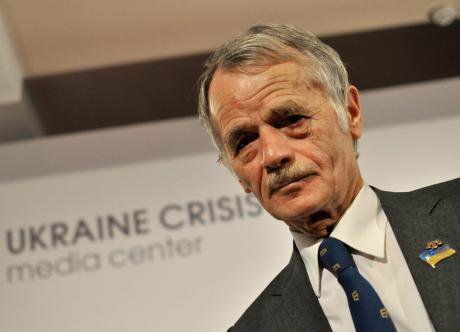 Mustafa Jemilev’s idea that Crimea might somehow return to Ukraine is also less than convincing. The Mejlis now looks as though it might be willing to meet Putin’s envoys half way; its leader Chubarov recently made an official visit to Kazan, where he signed an agreement on cooperation with Tatarstan, and had a meeting with its president Rustam Minnikhanov, who is effectively acting as Moscow’s representative in this matter. But any agreement between the Crimean Tatars and Moscow cannot be an exclusive one, for this might encourage other ethnic groups to demand special treatment as well. 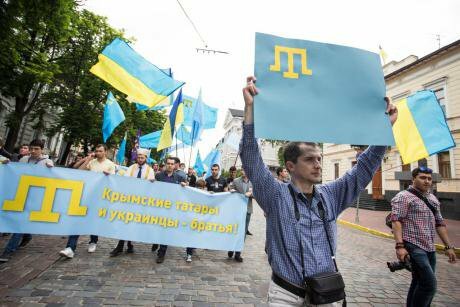 Not for the first time in their history, the Crimean Tatars find themselves living in a ‘new’ country; now they must try to adapt the old ways to the new rules.